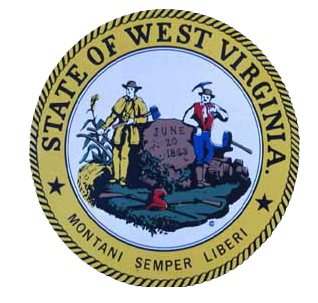 Today is the sesquicentennial of West Virginia. Our 150th Birthday. West Virginia has the distinction of being the only state to secede from the Confederacy! Their first choice for a state name was Kanawha. No one liked it. Nor were they fond of Allegheny, New Virginia, Augusta, Columbia nor Western Virginia, so finally they decided on West Virginia. Check out Bootstraps and Biscuits: 300 wonderful wild recipes from the hills of West Virginia at Cookbook Of The Day. I just love the word "sesquicentennial" and one must wait 150 years to use it and then it's over. The prefix "sesqui" translates to one and one-half. It forms one of my other favorite words (one that can be used on any occasion) "sesquipedalian." Coined by Horace in his Ars Poetica it literally translates to a foot and half long, but it means to use big words, like "sesquicentennial."